How does an uneducated farmer found an independent nation? One way is to join a revolution, rise through the ranks of the army, and become extremely popular with members of your community. This is the path taken by Elijah Clarke. Though he was raised in North Carolina, Elijah Clarke relocated to Georgia around the age of 40. At this time, hostilities between Great Britain and her colonies were growing. Clarke was an early advocate of independence and quickly joined the militia. Over the ensuing years, Clarke participated in several battles throughout the South…and was wounded three times! In return for his troubles, Georgia gave him a plantation which had been confiscated from a Loyalist. After the Revolutionary War, Clarke was named a Brigadier General in the State Militia. Additionally, he accumulated large tracts of land through speculation. During the Washington Administration, Citizen Genet (the French Ambassador to the United States) famously attempted to recruit Americans to come fight in the French Revolution. One of these citizens was Elijah Clarke, who was commissioned as a Major General in the French Army and instructed to capture East Florida From Spain. Due to a desire to remain neutral, President Washington had Genet recalled which ended Clarke’s brief stint in the French Army. Several years earlier, Secretary of War Henry Knox had signed the Treaty of New York. This agreement gave the Creek Nation the rights to a large swath of land off the Oconee River. This made Georgians upset, as it seemed to limit their possible expansion to the west which itself was a major reason the South joined the Revolutionary War. Elijah Clarke, who owned much of this land, led a group of settlers out to this property and build a town accompanied by a fort. So as not to break federal laws, these settlers decided to declare independence from the United States. The Trans-Oconee Republic, as the new State was styled, even wrote its own Constitution. While this adventure made Clarke a hero in Georgia, President Washington felt quite the opposite. Clearly, this endeavor broke all sorts of regulations, most important of which was it had the propensity to upset peace with the Creek. The Georgia Militia was ordered out and surrounded Clarke’s fort. After a brief negotiation, Elijah gave up his new nation on the contention that neither he nor anyone else involved would be charge with a crime. This request was honored, the settlers went back home, and the Militia burned all the buildings to the ground. The Trans-Oconee Republic was established, built, conquered, and destroyed in a short five months between May and September 1794. Want to read about another Founder who tried to establish a new nation around the same place at about the same time? Would you like to learn more about the Trans-Oconee Republic? ‘The Oconee War’ was written in 1874 and can be read for FREE here. 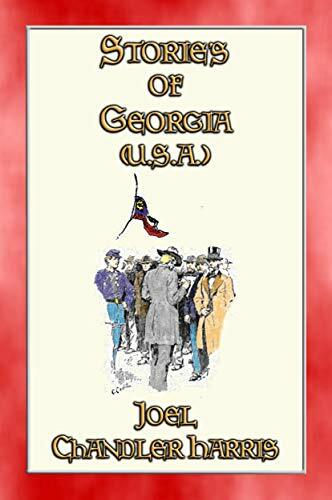 You could also pick up ‘Stories of Georgia’ which is full of fun tales early in that State’s history, but be warned it is actually for young adults.